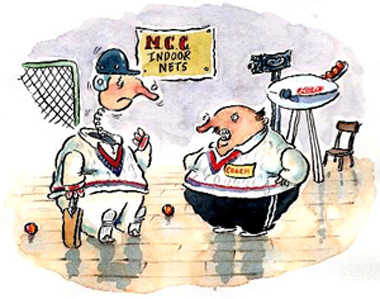 The 2007 Cricket World Cup will, unfortunately, be remembered for all the wrong reasons. The administrators didn’t get the format right (with two knock-out stages and the points system overcomplicating things), the tournament lasted too long and finally the umpire’s got the rules wrong. However, way beyond all of this, the 2007 World Cup will be remembered for the untimely demise of the ex-England batsman and Pakistan Coach, Bob Woolmer. Bob Woolmer was quick to develop the potential of BOLA machines and kept one for his personal use. 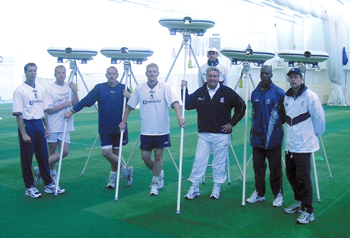 His 2003 ICC Performance Development Initiative included distributing a dozen BOLA machines amongst the affiliated countries. Also, whilst he was head coach at Warwickshire he purchased five machines and was the first to instigate the BOLA session that lasting several hours in different nets against different styles of bowling. He will be remembered as the first of the contemporary ‘analytical’ cricket coaches. Even the excellence of Australia (and in particular the spectacular hitting of Adam Gilchrist - who is another keen BOLA user) could not reprieve the competition but it will have raised vital funds for the West Indian Cricket Board. 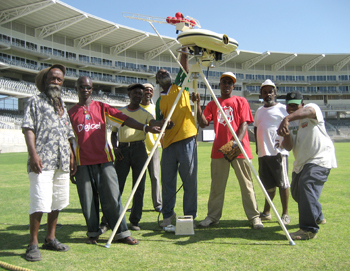 BOLA delivered seven machines to refurbished West Indian stadia before the competition: two to Sabina Park, Jamaica; two to Queen’s Park, Grenada and three to Kensington Oval, Barbados where they will continue to train West Indian Cricketers of the present and future. - This cartoon appeared in Punch way back in 1998.